Carpet is still the most popular flooring options in residential and commercial settings. Why is carpet so popular? For one thing, it offers comfort that is unmatched. Plus, most modern-day carpets offer premium stain and wear resistant technologies, so they can stand up to everyday life. Carpet also features unmatched characteristics and style, there is no other flooring like carpet. As we mentioned, carpet is available in a variety of styles. There are so many different colors, shades, and patterns from which to choose, so no design is considered off limits when you choose carpet. Our unique Select-A-Floor system helps you narrow down your carpet selection based on your lifestyle, personal style, and level of warranty. When selecting a new carpet for your home or office you'll need to consider wear resistance and durability. Do you need a waterproof carpet that can handle spills and stains? Maybe you need a commercial carpet that will stand up to heavy foot traffic? No matter what you need, you want to make sure to choose a carpet that will look good and last long in your preferred setting. The most important thing you need to do is choose the right type of carpet that balances performance and style. There are five main types: level loop, patterned, textured, frieze, and plush. Carpet is made up of fibers which are twisted into piles. There are many different types of fibers that are either natural or synthetic. The most popular synthetic carpet fibers are nylon, polyester, and triexta. Our natural fiber collection includes wool. Wool features several different benefits such as being a sustainable material and allergy friendly. Carpet can handle daily activity in your home better than you think. We offer carpets that are durable and long-lasting so you can live your life worry free. The most common places to install carpet include bedrooms, living rooms, and dens. Other places you could install carpet includes hallways, stairs, and even finished basements. Be sure to install carpet in areas with low moisture and avoid rooms such as kitchens and laundry rooms. We at Carpet N’ Drapes Carpet One Floor & Home in Jacksonville and Orange Park are proud to be your neighborhood experts when it comes to carpet. As part of our selection of carpet brands, we have Carpet One exclusives such as Relax, it’s… Lees, Tigressa Cherish, and Innovia. Our name brand carpets includes Karastan. Understanding the nature of your carpet’s fibers is a critical early step in determining how your potential new purchase will function as the years pass on. There are many different types of carpet fibers and each one is unique. You love your new carpeting, and want to keep it as pristine as possible, for the longest time. 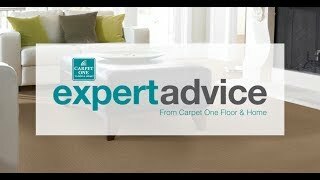 Extend your carpet’s life span with these simple tips. With some of the industry’s most competitive warranty packages, treat yourself to added peace of mind by protecting your latest carpeting investment.